Passover begins sundown on Friday, April 3rd and ends on Saturday, April 11th. I can’t believe Passover is already approaching. This year is cruising by! I don’t know about you but I like to cook for Passover but I never can decide on recipes, there are so many. 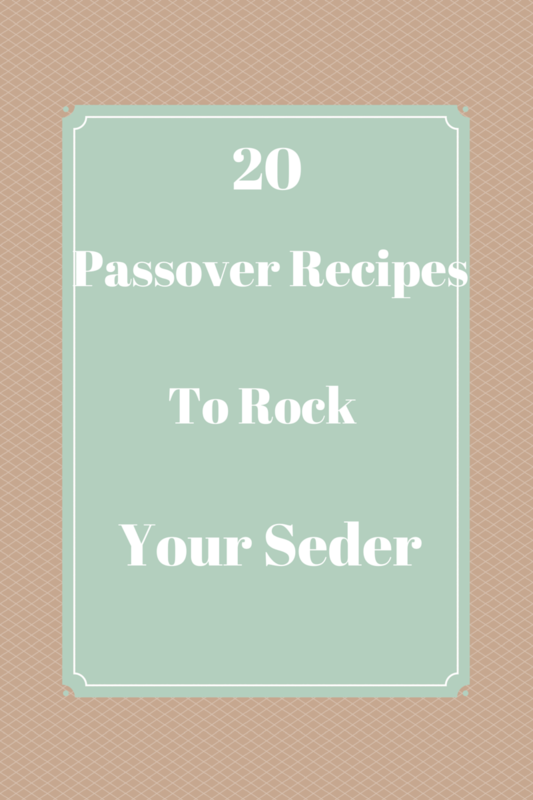 So this year, to help myself, I rounded up about 20 delicious Passover recipes and put them all in one place to make it easier. I have enough here to create a feast that will please all the guests. Check out this Raisin Farfel Kugel, say that five times fast! Here is a Delicious Chicken Soup with Rosemary Matzo Balls. Doesn’t this Potato Kugel Gratin look delicious?! Fruit cobbler makes a great dessert! This baby carrot and tarragon recipe will make the perfect side to any meal. Matzo Brei and Fresh Chives, mouthwatering! Every meal needs some homemade Passover rolls. If you like lemon, you’ll love these semifreddos. Mint Pesto goes with everything! Chocolate espresso meringues? Yes please! You’ll want more of these potato pancakes! You won’t have any leftovers with this braised chicken and spring vegetable mix! Everyone loves a starter salad. Do you like cauliflower? You’ll love this side dish! Chocolate Cracked Earth Cake is perfect to share. Lamb Meatballs in tomato sauce, perfect for a main dish. Substitute the breadcrumbs for matzo meal, of course. Granola can make a great snack as well as a delicious breakfast. Do you have a fabulous recipe you’d like to share? Please leave the link in the comments! I love all of the recipes that you’ve been posting. I’ve been really stuck in a rut lately. I need some new ideas. We don’t celebrate passover but some of those recipes sound pretty good. Might have to give a few a try.